At National Pallets, we offer a same day pickup service that will allow you to get your goods delivered on time. There are a few important things you’ll need to know before booking one of our lorries. We can only pick up goods from a business and the pickup location has to be on a road that’s easily accessible by lorry. If you’re not sure just answer this: does a rubbish truck drive by your front door? If so, you tick all the boxes. Gravel roads are difficult for us as a pump truck cannot pass on anything but a smooth surface. Collections are made between 9AM and 5:30PM. If you miss the window for any reason you will be charged an additional £20, which is to pay for operating costs. The driver will present you with a pallet if you requested one and you will have 10 minutes to pack your items. Be sure to have it all ready to go in advance, including the address label. This ensures an easy, hassle-free experience. The moment your items are on the truck we send you an email with a tracking number so you can be exactly sure when your goods will arrive. 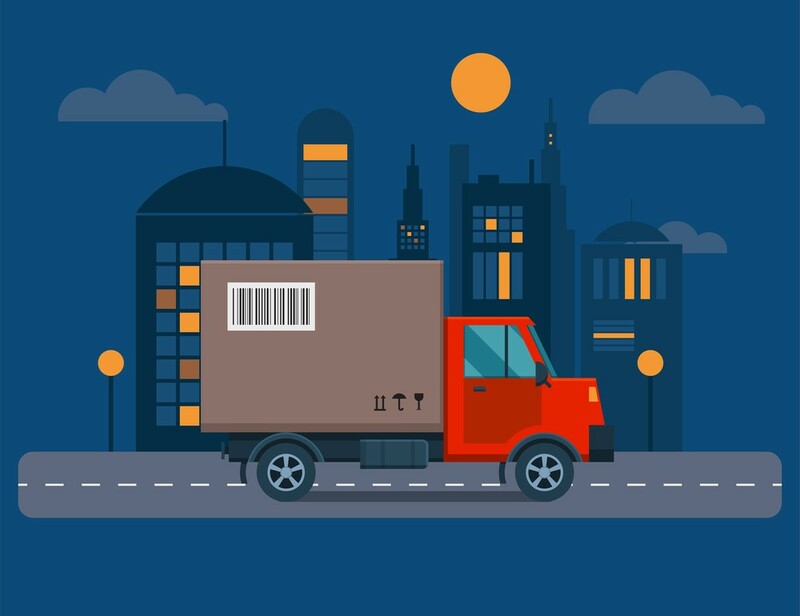 The email contains an address label and a manifest for the driver, you can print both and the driver will attach the address label to your pallet. If you’re shipping a large or cumbersome item that won’t fit in a box, some regulations might apply. For gearboxes and engine spares, all liquids must be drained prior to pick up and the items must be tightly strapped. Standard wooden pallets and the tail lift on back of the truck can carry up to a 1000kg max. To minimise risk of damage, we recommend limiting your load to 750kg per pallet. This weight is also easier to transfer over to another truck if your goods are being shipped internationally.